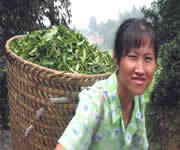 The aim of blending different teas together or flavoring with additives is to create a well balanced and pleasant aroma. From a lot of experimentation and tasting for years, we have discovered our own specialty tea blends and flavors with high quality of teas and essences, for instance, our English Breakfast and Earl Grey Tea, which will give you a perfect rounded, flavorful cup of tea. 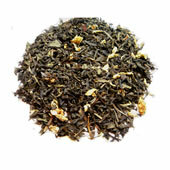 Earl Grey tea is named after Charles Grey, British Prime Minister in the 1830s, who reputedly received a gift of tea flavored with bergamot oil from a fragrant citrus fruit. This tea is a favorite in Britain and in America. 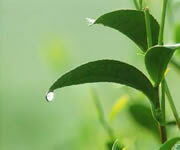 With the majority of our premium China Keemun as base tea, it has a light refreshing taste and an unusual flavor. The tea can be severed hot or iced with or without milk or sugar during anytime of a day. 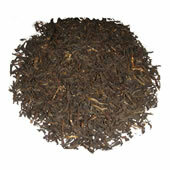 English Breakfast tea is a black tea, which is blended with the finest grade China Keemun, India Darjeeling and Ceylon teas. 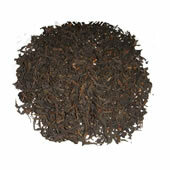 It is full-bodied, robust and hearty tea that stays true to the exacting standards of the popular original. Since it goes well with milk, sugar and honey, Our English Breakfast tea is an ideal accompaniment to your morning meal. This tea is truly a good way to start your day. Russian Caravan Tea is a perfect drink for dinner parties, historically after some liquor (Vodka) in Russia. This is a medium strong with a smoky aroma and a hint of malt flavor. 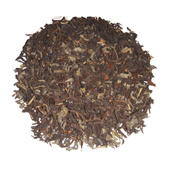 We choose the finest China’s Lapsang Souchong with royal grade of China Keemun Tea for the blended, which creates the hint of mystery and an exotic delicate flavor with a lively sprightly slightly toasty character. The tea can be optionally added milk and sugar to taste. A unique twist on a classic Earl Grey Black tea, we create our own recipe with special selected Pouchong Jasmine tea, which brings up beautiful combinations of citrus and jasmine flavor into this tea. The flavor is hard to describe, but the general consensus on this is great. 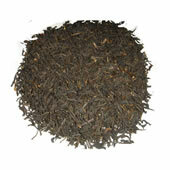 Earl Grey Jasmine tea is our another example of flavorful cup of tea with a very acceptable value.